Thirteen undergraduates, three veterinary students and two high school teachers from 16 different institutions across the United States were chosen to participate in the 2010 summer Research Experience for Undergraduates (REU) and Research Experience for Veterinary Students (REV), held June 7-July 30, 2010. 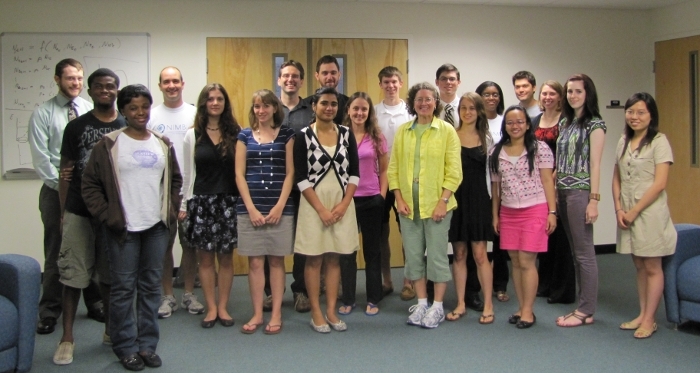 During the eight-week long program, participants lived on campus at the University of Tennessee, Knoxville (UT), and worked in teams with UT faculty to conduct research at the interface of mathematics and biology. The award included a stipend, housing and some funding to support travel. Research topics for the 2010 program were modeling the effects of climate change on ant foraging behavior in the Great Smoky Mountains National Park; predicting the park's biodiversity; modeling Johne's disease in cattle; modeling the growth and development of plant pathogens; and modeling the dynamics of cat populations in the community. As one participant put it, "I learned about mathematical/spatial modeling using computer software that I hadn't used before, and also learned a lot more about the process of investigating data associations in a mathematically rigorous way. It was a great learning experience!" Click on the names below for more comments from some of the REU/REV participants . Degree: B.S. Animal Sciences, Tuskegee Univ. Read about an EcoEd Webinar: Math, Computing, Undergraduate Ecology Education and Large Datasets: An Example from a Citizen Science Program that includes a discussion of NIMBioS' REU program and describes the work of REU students who analyzed data from Discover Life in America's All Taxa Biodiversity Inventory (ATBI) based in the Great Smoky Mountains National Park. To read more about the team who modeled the growth and development of plant pathogens, click here. 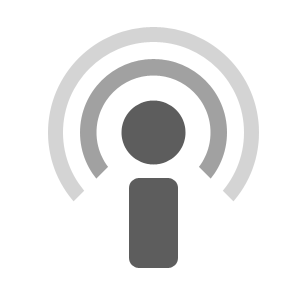 Click on the podcasts below to hear William Godsoe's interviews with NIMBioS' 2010 REU participants. Dr. Godsoe was one of the REU mentors.